Protein is one of the body’s most important components. 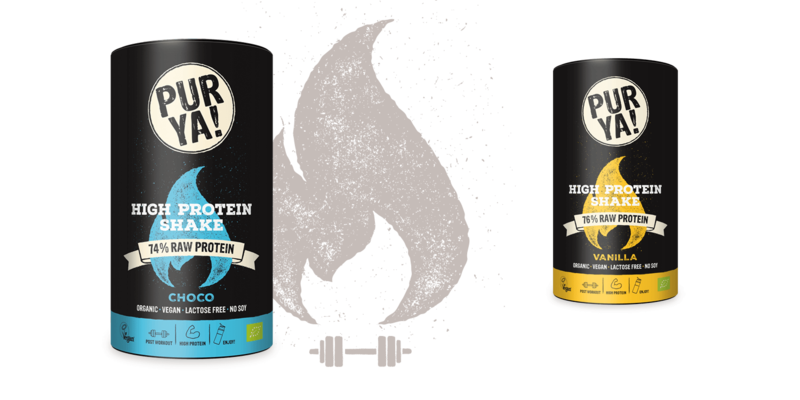 In contrast to other nutrients, your body cannot store protein, thus a continuous supply of high quality protein is essential. 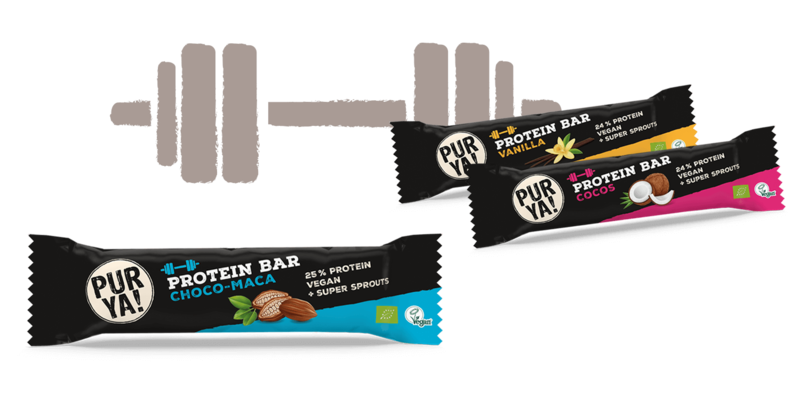 Our products made of organic vegan proteins are your ideal partner in sport and daily life. Nature’s powerhouse provides an ideal snack. Tastes good! Is good! 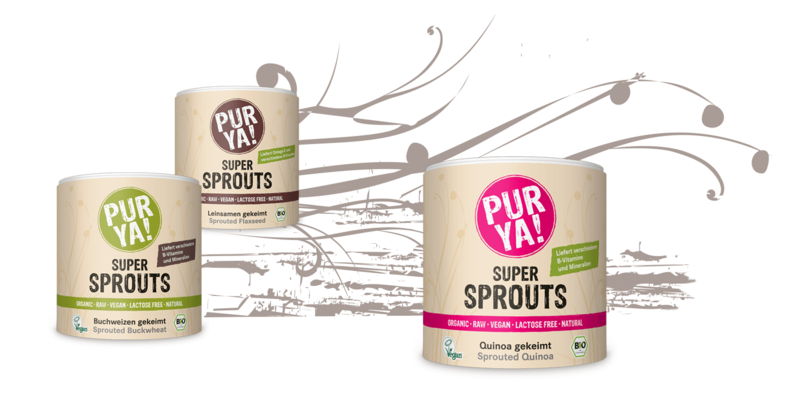 Germinated in Austria using energised water and dried in raw-food quality the ground and whole sprouts are incredibly delicious. Best organic vegan protein powder – Made in Germany! 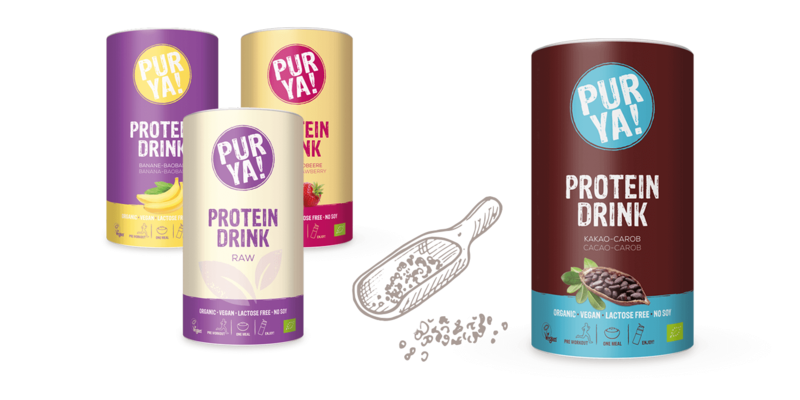 Now it’s so easy to enrich your smoothies, salads and muesli with high quality vegan protein. The first vegan protein shake that tastes good! Organic, vegan, Made in Germany! Superfoods are super, because they contain lots of nutrients. PURYA! Superfoods are especially suited for use in smoothies, protein shakes, yoghurt, muesli, fruit drinks or salads. The innovative sports bottle with an integrated mixer. A stainless-steel blender ball mixes your ingredients effortlessly. 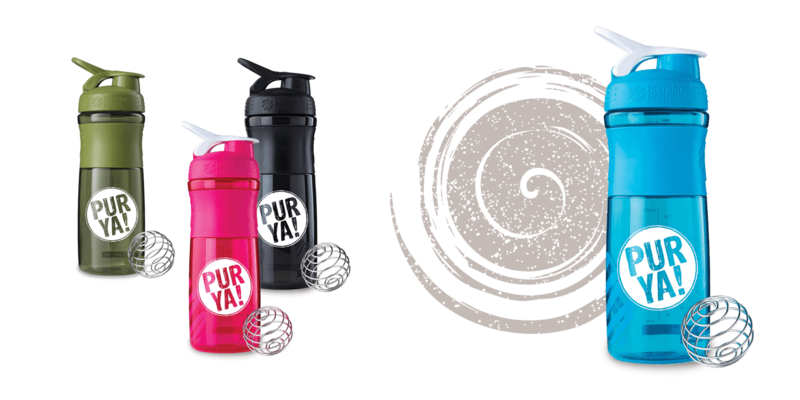 All the PURYA! 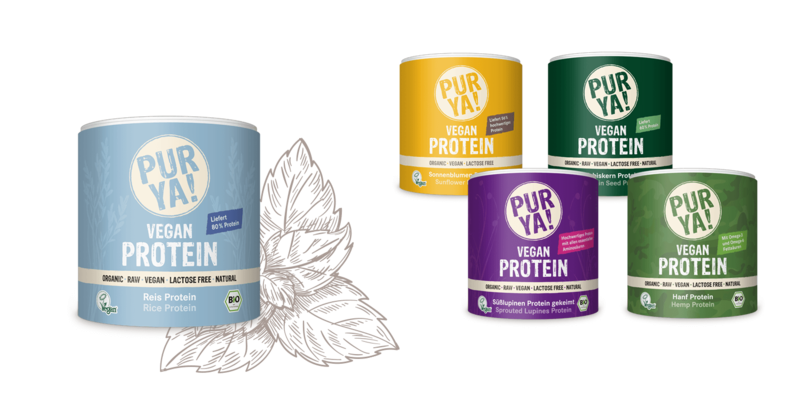 products are available in selected organic wholefood shops, health food shops, fitness studios, and at our online shop.